In the summer, they roost in tree holes, bat and bird boxes and attics. In the winter, they hibernate in cellars, tunnels and caves, usually alone. 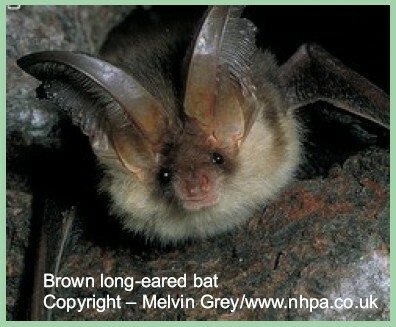 The brown long-eared bat (Latin name is plecotus auritusis) is a medium-sized bat with ears almost as long as the body. 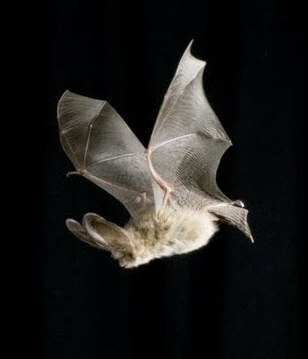 These large appendages are three quarters the length of the bat's head and body. When resting, the bats fold their ears and hold them backwards. They have a slow and fluttering flight, often close to vegetation or in woodland and near the ground, which makes them vulnerable to predation from domestic cats. They use their large ears to listen for prey sounds and gleaning insects from the surface of foliage. 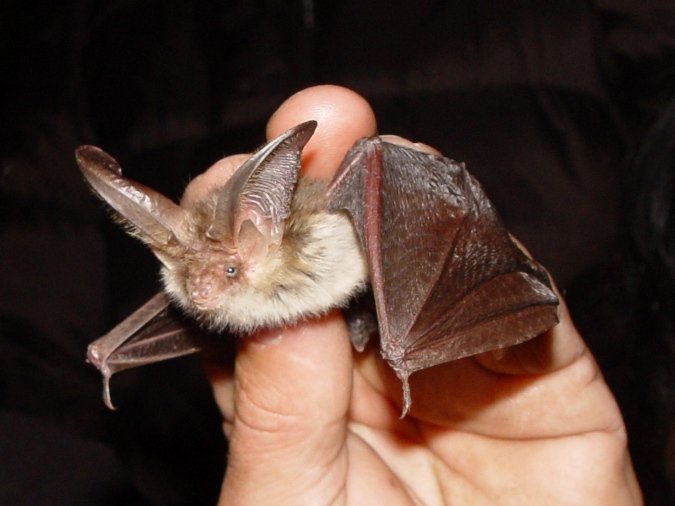 This bat's huge ears provide exceptionally sensitive hearing - it can even hear a ladybird walking on a leaf! They eat mainly moths, beetles, flies, earwigs and spiders. They normally roost in small colonies in older buildings, barns, churches and trees. According to the Harris et. al. 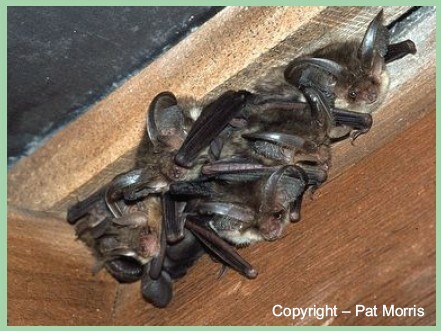 in 1995, there were 245,000 brown long-eared bats in the UK and 17,500 of them were in Wales. The following amazing images of the Brown Long-eared bat are copyright of Hugh Clark (Bat Conservation Trust).